Kells, County Kilkenny, is a wee village. It’s on a bend in the King’s River and there’s nothing much there but a garage and a small pub called Shirley’s. And the Priory. Or the Seven Castles as locals also call it – because of the tower houses dotted along the walls. It’s the nearest village to the farm my granddad was born and grew up on, the farm where my mother spent her childhood summers. She brought us there as kids to visit with our cousins and we all continued to spend weekends over the years. As a child, trundling through Kells in the old blue Beetle meant we were, in fact, Nearly There. As an adult I cork-screwed through Kells at breakneck speed many a night as my madcap cousin drove us into Kilkenny city, to the ‘disco’ at Langtons. Occasionally we’d stop, for a quiet-ish pint in Shirley’s or to walk off a hangover in the Priory of a Sunday morning. PJ Lynch did an amazing job of bringing Kells Priory and my story, Gren’s Ghost, to life with his atmospheric black and white charcoal images. You can click HERE to see one of them happen (1 min), or HERE to see PJ chat about illustrating the book (2.39). Meanwhile the book will be available from tomorrow, all over the country. When Sarah Webb asked Michael and myself to contribute illustrations to Beyond the Stars we were both very pleased to be included and very happy to work on something connected to such a good cause. I was very flattered and a bit intimidated to be paired with Eoin Colfer on his atmospheric 1950’s set short story The Lookout. I even had a bit of a freak out before I established I could still do the type of realistic style drawings the story seemed to demand – it’s been a long time since I’ve worked in this way and I panicked! 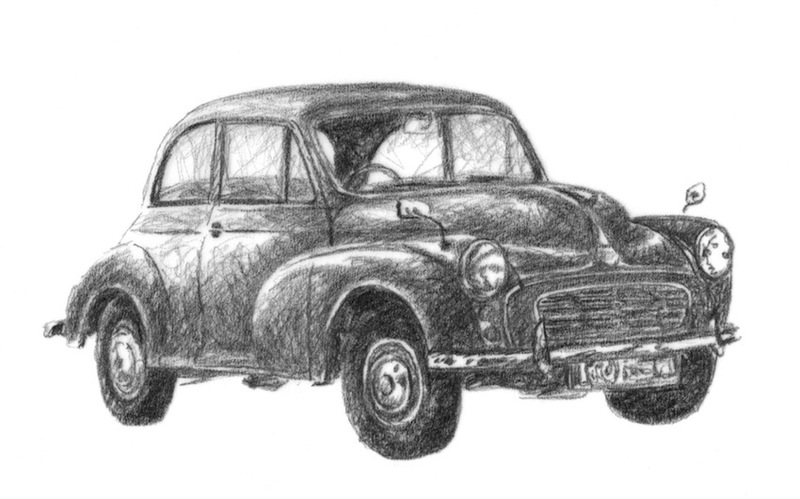 In the end I did enjoy doing this drawing of the vintage Morris Minor which features in the story, and I was eyeballing a school yearbook photo of Johnny Cash I pulled from the Internet when I drew the picture of Charley, the young protagonist. 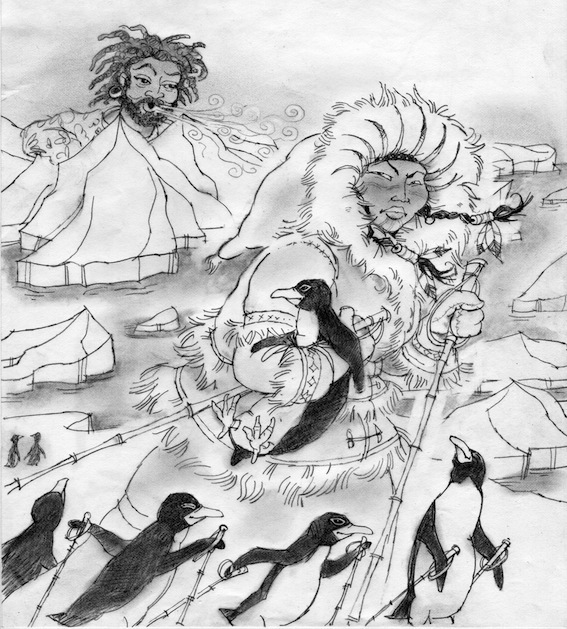 Michael was paired with Gordon Snell on his story, The Battle of the Ice Queen and he had some fun reimagining the Snow Queen. As you can see here, he avoided the usual blonde, white and skinny vision which is so much part of our European-centric culture. Gordon was rather pleased with it! I’m not a natural when a microphone is clipped on me and the cameras are rolling, so it always helps if the interviewers are well prepped and ask decent questions. On Elev8 the interviewers are friendly and easy-going. Between their own researcher Kate and Aoife at CBI they’d been very well-prepared, so it was almost as if Diana and Sean had read Hagwitch themselves and had been following my career for years! I had fun hanging out in the greenroom with Hannah (another guest on the show) and her mum. 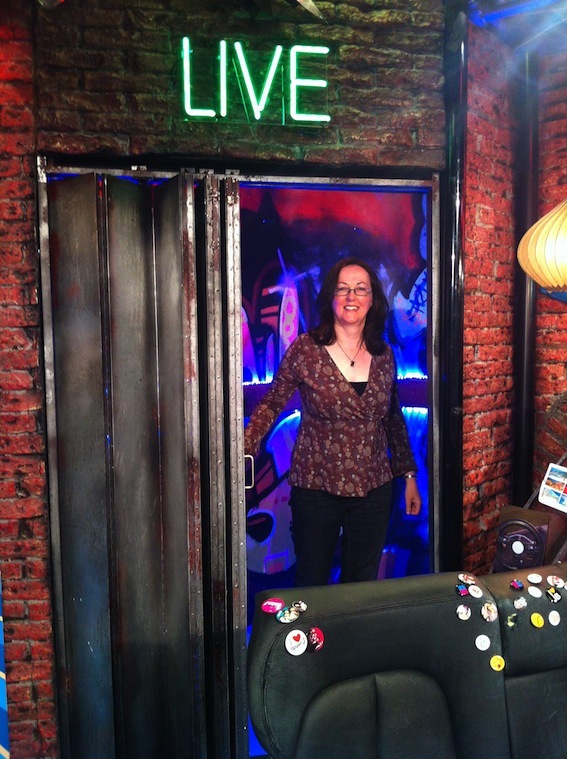 Once the show was live I had to go hide inside the ‘lift’ as I was on after the Chatty Chin. I could hear the various interviews with Eoin Colfer, Derek Landy, Sheena, Siobhán and Oliver while I waited for the ping that signaled it was time to emerge into the studio. I kept taking deep breaths and crossed my fingers that the door wouldn’t stick/I wouldn’t fall over the step as I came out. 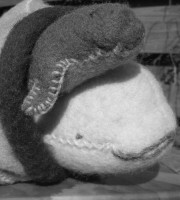 The questions came thick and fast, We chatted about winning the CBI Book Award for the fourth time, about both strands of the story in Hagwitch – Flea’s story set in the world of the theatre in Tudor London, and Lally’s, set on the Puppet Theatre Barge in modern London. 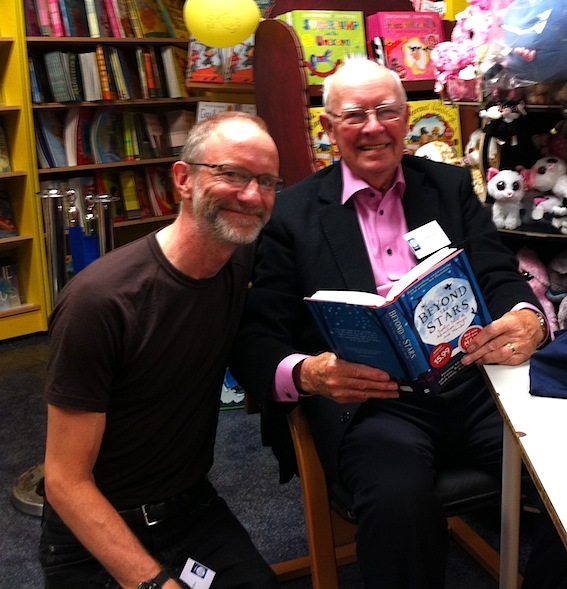 We also talked a bit about my latest picture book, The New Kid. It was fun and it was all over in a flash! You can watch the 25 min programme here: The CBI award bit is about 2 mins in. Link will work till June 5th.